Dr. Luis Batlle is a native Floridian who was born and raised in Miami, Florida. Being the son of Cuban immigrants fleeing communism, and grandson to a physician who left Cuba to restart his medical career in a country with a different language, he learned the values of discipline, hard work and dedication to achieve his personal dreams. It was these attributes instilled in him that led him to graduate with a degree in Biomedical Engineering from the University of Miami, and a master’s degree in Biomedical Sciences from Barry University in Miami Shores, Florida. He then dedicated his efforts towards medicine and attended Rutgers – New Jersey Medical School. After graduation, he completed an internship in General Surgery at Penn State-Hersey Medical Center. As an avid participant of multiple sports such as mixed martial arts, watersports, cycling and rock climbing, Dr. Batlle decided to combine his passions of athletic activities, health, wellness, optimal function and medicine. He therefore became a resident physician in Physical Medicine and Rehabilitation at the University of Miami – Miller School of Medicine. As a resident physician, Dr. Batlle was nationally recognized for his hip ultrasound research at the 2013 American Academy of Physical Medicine and Rehabilitation National Assembly with a poster presentation nominated for “Best Musculoskeletal Medicine research Poster Presentation”. Seeking a humane approach in helping patients obtain the most function and quality in their daily activities, he found his ultimate vocation in the field of Pain Medicine. He joined the Florida Spine Institute to complete his specialized fellowship training in Pain Management, and later joined the practice in 2015. 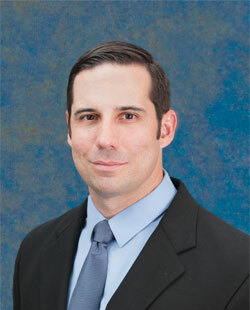 Dr. Batlle specializes in the diagnosis and treatment of patients with spine and joint related pain symptoms. He is board certified by the American Board of Physical Medicine and Rehabilitation, and holds past memberships in the Association of Academic Physiatrists, American Academy of Physical Medicine and Rehabilitation, American Society of Interventional Pain Physicians, American Academy of Pain Medicine, Florida State Society of Physical Medicine and Rehabilitation and Southern Pain Society.